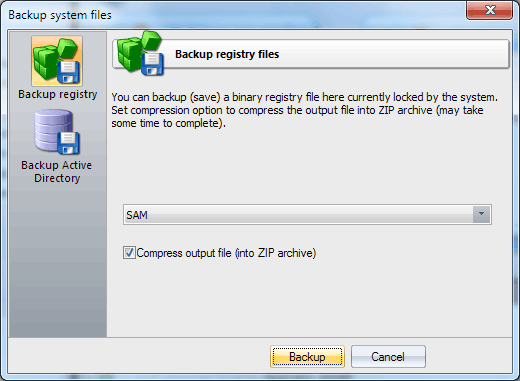 Registry backup tool allows easily create a backup copy of your Windows registry. Even if the registry file is locked by operation system. If the compression option is set, the output file will be automatically compressed to a ZIP archive. 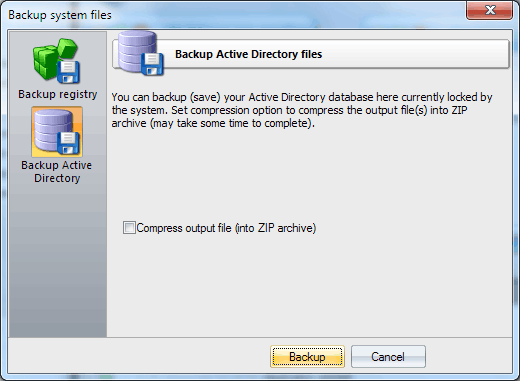 Backing up Active Directory database is much similar to the registry files, except that the path to Active Directory the program determines automatically. Creating and saving Active Directory database may take quite some time: minutes or even hours for huge databases.